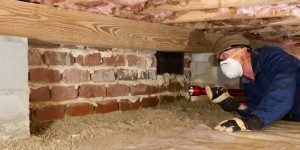 Termites: What You Need To Know - Pest Control | Bama Exterminating Co.
No home is safe from termites. Termite prevention is essential to protecting your home. Termites are responsible for billions of dollars of home damage every year. These silent destroyers chew through wood, from the inside-out, meaning a wood board or wall that appears completely intact from the outside could be riddled with termite damage from within. Termites can threaten the very structural integrity of a home. Termite exterminators like Bama Exterminating Co. are readily available all around locally in places like Tuscaloosa, Northport, and West Alabama. 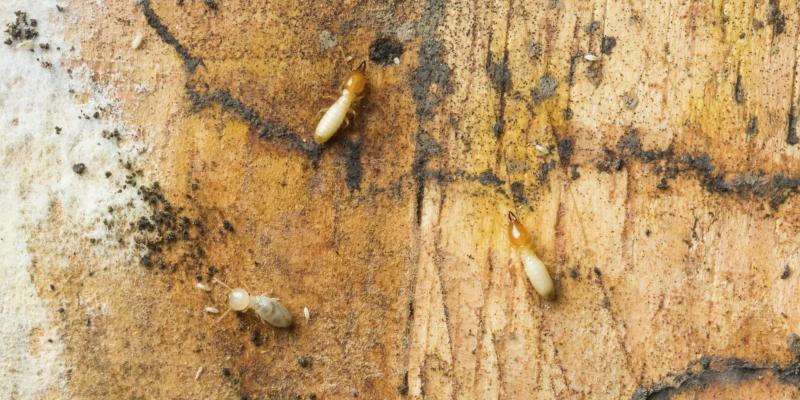 To prevent termite damage in your home, you must look for the signs of a termite infestation. Performing periodic checks to find any warning signs of termite swarms, can help diagnose an infestation early. Most types of termites thrive in moist areas and depend on water sources to survive. Stop this perfect termite breeding round by removing sources of moistures, such as fixing leaks and broken pipes. Also make sure gutters and downspouts are functioning properly and are diverting water away from the home. Termites can use any piece of wood in contact with soil as a staging ground for invasion. A simple rule is to maintain a one-inch gap between soil and wood sections of your home. Additionally, avoid stacking, storing, or burying wood near your home. This would include firewood, mulch, lumber, and even sawdust. It’s a good idea to remove rotting or termite-infested trees and tree stumps from your immediate property. Termite nests appear as a mud-like deposit, usually around wood. Using good termite prevention will help stop termites from invading your home. It is estimated that for every human on Earth, there may be 1,000 pounds of termites. That’s about the same weight as a full-grown cow! Termites work 24 hours a day and never sleep—and you thought your work day was long! NOTE: It is very important that you keep a termite contract on your home. As you can tell from the above facts, termites cause a lot of damage. A booster treatment will be required at the end of your contract. 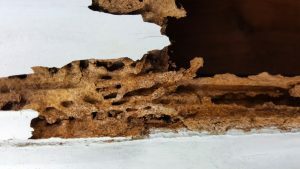 By performing a booster treatment, we are making sure the termiticide barrier around your structure remains a level to help prevent a termite infestation. When it comes to termite control, an ounce of prevention really is worth a pound of cure! To prevent termites from making your home theirs, we treat the foundation of your home as early as the construction phase. We offer an array of different termite treatments depending on the needs of your home. Non-Repellents: These are undetectable to the termite, allowing it to carry the poison back to its colony, eliminating the issue at the source! Administered by our highly trained exterminators, these treatments are extremely effective and can protect your house for up to seven years from termites. Along with liquid treatments, we also offer Sentricon System bait stations as a great termite control option! These stations are placed in the ground around the perimeter of your house, approximately 10 feet apart. Similar to non-repellent liquid treatments, bait stations give the termite poison to carry back to the colony and eliminate the source of a termite problem. To ensure long-term elimination, we’ll return annually to check the stations, inspect your home, and make sure there aren’t any issues.